In this section, the mass balances are focused on the actual microorganisms and their growth/decay. The case in which by means of microbial fermentation (as an example), the microorganisms are reproducing themselves is considered here. The approach is very similar to the one used for the enzymes, and however, there are diverse models for microbial growth or decay and they have to be considered at the same time within the mass balance. Also in this case, we have the Monod model, and however, we have different rate expressions for the kinetics involved. The decay of the microorganisms is considered here together with the inhibition caused by different factors. 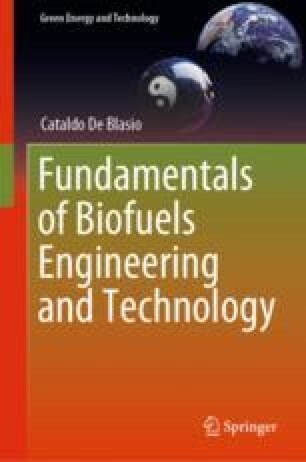 The case of production of ethanol by digestion is taken into account at the end of the chapter. And then you see that sometimes, to undermine the false authority of an absurd proposition which is against any reasoning, even a laughter can be a right instrument. Often the laughter also serves to confuse evil persons and make their foolishness shine. Umberto Eco, 1980. The Name of the Rose, Fabbri publisher. Rodicio, R., & Heinisch, J. J. (2009). Sugar metabolism by Saccharomyces and non-Saccharomyces yeasts. In Biology of microorganisms on grapes, in must and in wine (pp. 113–134). Berlin, Heidelberg: Springer. https://doi.org/10.1007/978-3-540-85463-0_6.